I have a collection of 4 balls in my room which I use for a variety of games and to develop different skills. 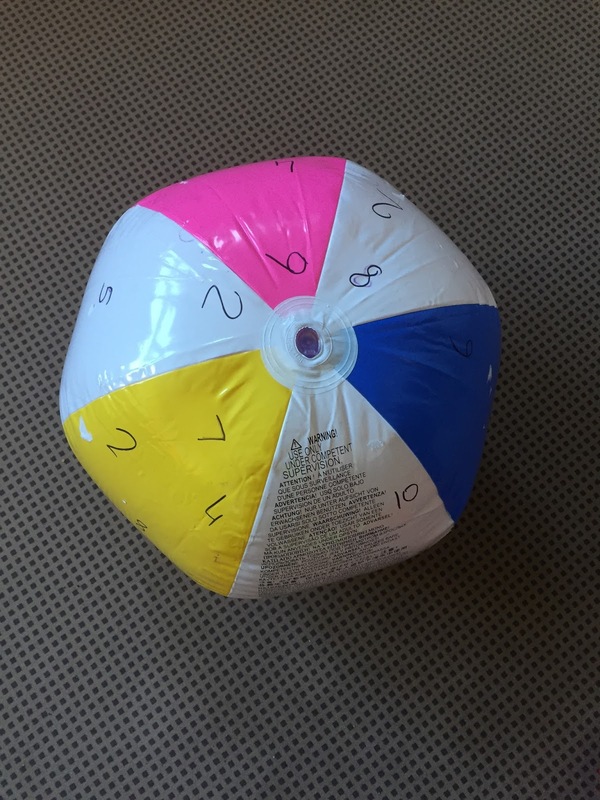 I mainly use this ball for developing gross motor skills – it is very big and bouncy so it’s great for throwing and catching or bouncing and catching with a partner. It is also very good for rolling. We also play a game to develop co-operation skills – where children have to work together to keep the ball in the air. They cannot catch it but just use the tips of their fingers to throw the ball to one another. This ball also doubles up as a maths ball. Children throw the ball to one another. When they catch the ball – there hands land on 2 digits – which they add/multiply. This ball is used for well known games such as Donkey and Bomb. Donkey – Children throw the ball to one another as quickly as possible. If the child drops the ball, they get the letter D, if they drop it again, O – the first child to get all the letters is the DONKEY. 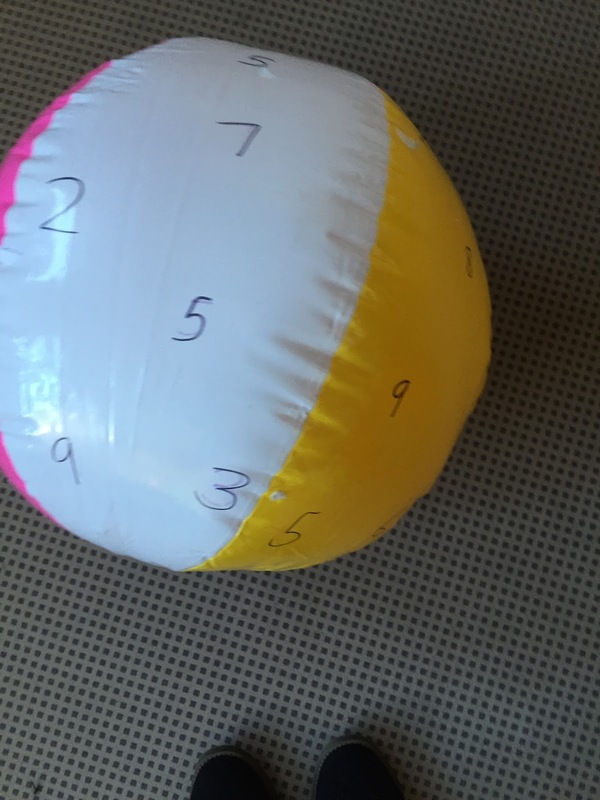 Bomb – Children throw the ball to one another – if the ball drops – a countdown from 10-0 starts. Whoever has the ball on 0 is out. Children throw the ball to one another and have to say a different television programme every time they catch the ball. Maths – times tables – count in multiples of 2/5/3 etc. These balls are much smaller and provide more of a challenge. 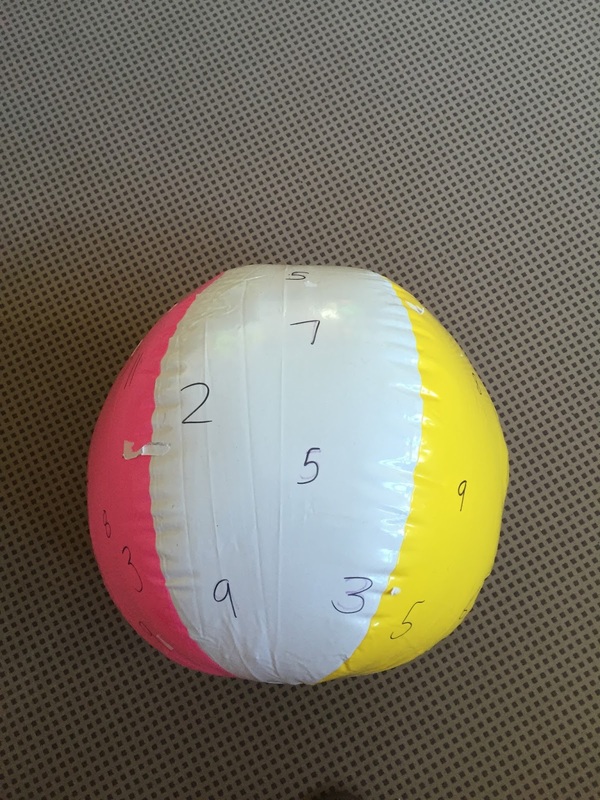 As a co-operative challenge the children use 2 balls and work in pairs to throw and catch the balls at the same time – they have to see how many they can reach.